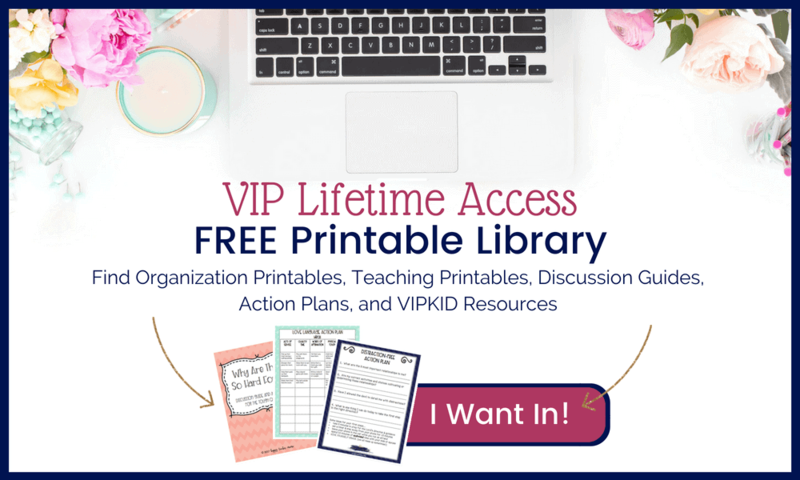 As teachers and mamas, one of the most frustrating things we deal with is how to organize school papers. Whether it’s homework, classwork, or art projects, it’s as though the stacks grow like Gremlins overnight. When my oldest son started school many years ago, I enjoyed looking through all of the papers he would bring home. I loved talking with him about the drawings and paintings he had created, and I wanted to keep everything because each piece of work was a treasure to me. However, by the time he started second grade and my youngest started kindergarten, I was back teaching in the classroom. Between the weekly papers from 2 boys and all of the things I brought home as a teacher, I found myself struggling to keep up with all of it. Of course, as with any excellent organizational system that happens when we’re overwhelmed, I STUFFED the papers in drawers, on bookshelves, or anywhere else I could cram them. When I could cram no more and the paper clutter had become unbearable, I realized I needed to create some semblance of organization. 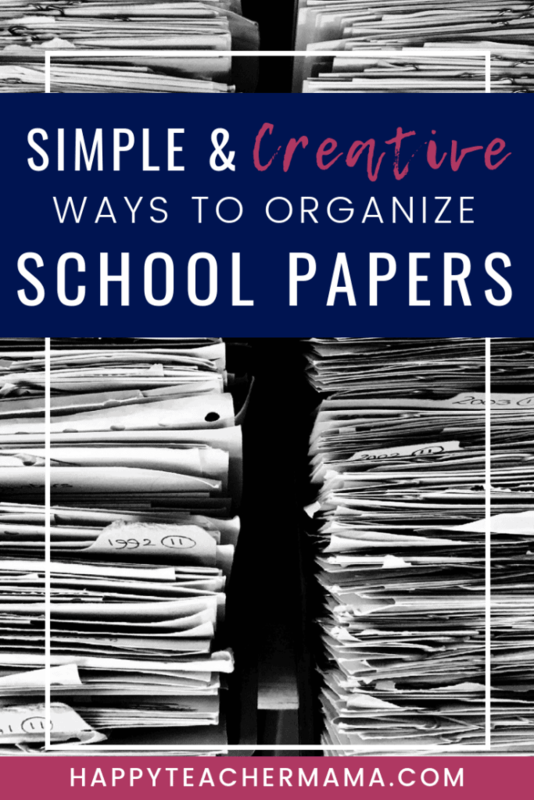 After a bit of trial and error, I discovered that by keeping their school papers organized individually and by year, I had an uncomplicated solution to the problem! Since that time, we’ve kept all of their important memorabilia from schoolwork, certificates, newspaper clippings, birthday cards, to special photos organized by child and year. All these years later, I still love the simplicity of this system. But, knowing how to organize school papers is only part of the solution. The other piece of the puzzle is determining how to store the papers. Yes, I’m very aware of how strange this sounds, but stick with me and I’ll explain. When I taught kindergarten, we had to keep samples of each student’s work throughout the year. Most of the documentation was in the form of paper, but occasionally there was a 3 dimensional piece of work that needed to be saved. To save money on storage solutions, we went to our local pizza place and asked for 20 large pizza boxes. We explained what we were doing and the restaurant was happy to donate to our worthy cause. They are deep enough to house both 2D and 3D projects, but not so deep as to take up a ridiculous amount of space. They look like pizza boxes. To overcome the one con, simply let your kiddos paint the outsides of the boxes. I know they won’t be “Pinterest perfect,” but you will have a storage solution that your child created both inside and out! Endless options to suit your style. They are great conversation pieces. They can get expensive quickly if you have multiple children with multiple years’ worth of papers. While the type of box you pick is relatively insignificant, the size is very important. They need to be large enough to hold memorabilia larger than 8.5×11. Remember you’ll be putting all of the important papers from school in here…including artwork that may exceed the standard-sized sheet of paper. This is what I use for my boys’ papers and memorabilia. When I purchased ours, I found them on sale and bought enough so that each boy had 12 boxes. (I already had another style of box for each of their kindergarten years.) They are just plain cardboard with a little bookplate on the front. The last creative solution I have for you is the perfect way to store all of the artwork your child has brought home. You can combine this idea with the storage boxes or you can do this completely independently. To successfully achieve your desired result (aka organized school papers), you can take pictures of your child’s papers. Your child can either hold their prized works or you can snap some quick photos of the creations themselves. You can then choose whether you will create individual books or albums by year or just do one large “artwork” or “project” album. The choice is yours! Overall, the best way to organize school papers is by child and by year. Once you have sorted and separated, simply pick which storage solution works for you and your budget. The options are endless if you are willing to think simply and get creative!